Are you dreaming of a lazy day fishing by the lake? So are we! 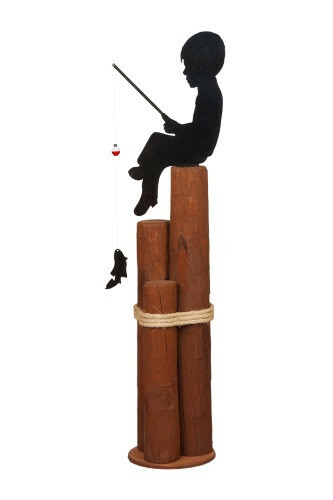 That's why we love our Amish hand-crafted silhouettes of a little boy and girl lounging on solid wood pier posts. What a great addition to any lawn, garden or patio. Each Pier Post is 35" inches high.